Inspire Bingle: Incredible Thing That Determination Can Do. The Power of Determination. Incredible Thing That Determination Can Do. The Power of Determination. One morning they arrived to find the schoolhouse engulfed in flames. They dragged the unconscious little boy out of the flaming building more deadly than alive. He had major bums over the lower half of his body and was taken to a nearby county hospital. From his bed the dreadfully burned, semi-conscious little boy faintly heard the doctor talking to his mother. The doctor told his mother that her son would surely die — which was for the best, really — for the terrible fire had devastated the lower half of his body. Ultimately through his daily massages, his iron persistence and his resolute determination, he did develop the ability to stand up, then to walk haltingly, then to walk by himself — and then — to run. He began to walk to school, then to run to school, to run for the sheer joy of running Later in college he made the track team. Still later in Madison Square Garden this young man who was not expected to survive, who would surely never walk, who could never hope to run — this determined young man, Dr. Glenn Cunningham, ran the world’s fastest mile**! Developer of Speaking Success System. 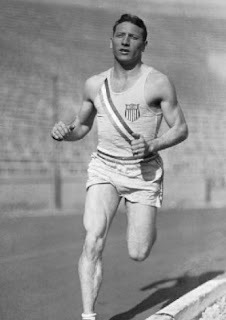 •0n June 16, 1934, Glenn Cunningham ran the mile in 4:06.8 minutes, breaking the world’s record. His effort portrays that whatever you want to create in your life is yours for the making. As long as you desire it enough and allow your will to guide you, you can have and be whatever your heart desires. The only one that can put limits on our personal will is ourselves Develop and encourages your will to create and all the forces of nature within and without will help you bring your desire to pass.